Douglas, Vidalia, Tifton, and Jesup drivers need a car that offers them flexibility for any situation. The Nissan Rogue really fits in here with a sporty look, spacious interior, and a fuel-efficient engine. To help you in your research, we at Walker Jones Nissan have brought you these research materials to help you find if a Nissan Rogue is right for you. Continue reading to learn some of the highlights of this SUV and what it can do for you. Contact us today for more information! Having an engine that produces plenty of power is important when you’re looking for a fun car to drive. To provide that peppy acceleration many drivers look for, the Nissan Rogue is designed with a standard 2.5L 4-cylinder engine. You’ll be able to generate up to 170 horsepower and 175 lb-ft of torque using this powertrain. Commuters will also be pleased with the excellent fuel efficiency offered by this engine with an EPA-estimated 26 city MPG and 33 highway MPG.1 This SUV achieves this not only from its efficient engine but also through the standard Xtronic CVT®. By using this unique transmission, you are able to achieve better fuel efficiency by always being on the right shift point. Optional with all trims of the Nissan Rogue is an available Intelligent All-Wheel-Drive (AWD) system. 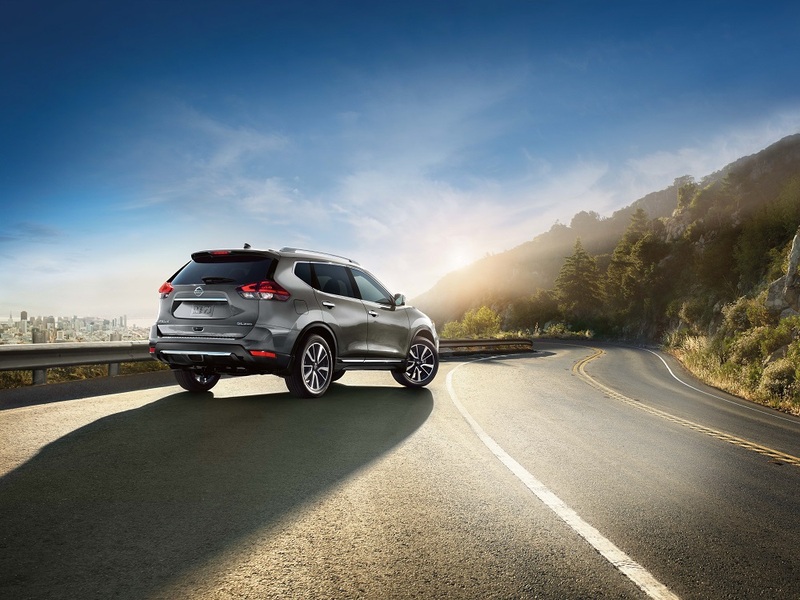 Having an AWD driveline is excellent when you need it most and the Nissan Rogue is designed to shift power to different wheels when they detect less traction. The result is a vehicle that is able to produce the traction you need, as you need it. There are also various safety features that work to provide you with a stable, uniform driving experience at all times. Just look at the standard Hill Start Assist which produces more power when you’re on a hill to give you the muscle you need to start moving up it. 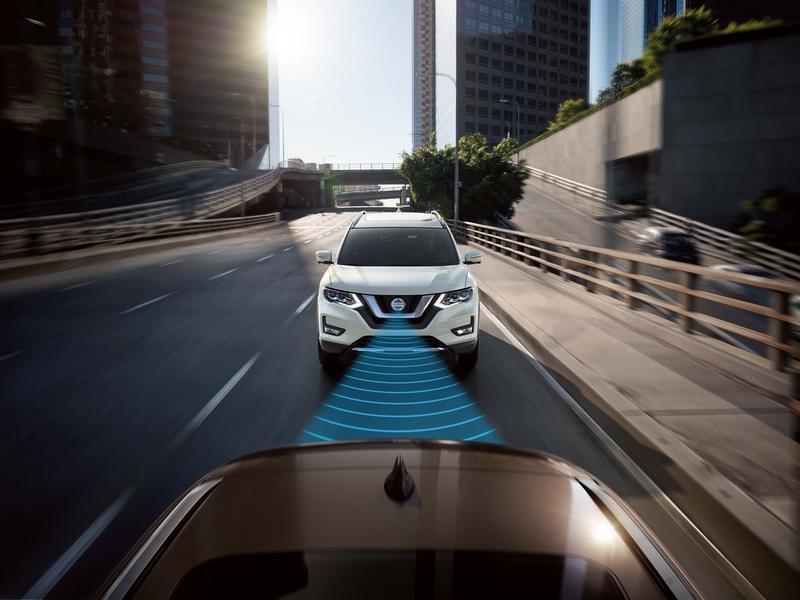 The Nissan Rogue is designed with several standard active safety features that provide you with full situational awareness. Just look at the standard Blind Spot Warning feature, this technology warns you of cars along your sides, so you don’t risk a collision while changing lanes. The comprehensive features built into this SUV will protect you for any event on the road. Traveling for a road trip often means packing plenty of luggage for your destination. To make sure you have no trouble fitting everything you need, this SUV is designed to hold up to 39.3 cubic feet of cargo. When drivers need to fit even more cargo though, they can fold down the rear seats for up to 70 cubic feet of space. There’s no need to stuff your luggage in the back with this large cargo area. Drivers in the Vidalia, Tifton, Jesup, and Douglas areas will enjoy the Nissan Rogue for its power and versatility. In order to help you learn even more about this SUV, Walker Jones Nissan has provided you with a wealth of research materials to learn from. If you’re interested in finding out more of what this car can do, follow one of our links to start your research today. 1 2019 EPA Fuel Economy Estimates for Rogue®: 26 City MPG/ 33 Highway MPG/ 29 Combined MPG for 2019 Rogue FWD (S, SV, and SL trims); 25 City MPG/ 32 Highway MPG/ 27 Combined MPG for 2019 Rogue AWD (S, SV, and SL trims); 33 City MPG/ 35 Highway MPG/ 34 Combined MPG for 2019 Rogue Hybrid FWD (SV Hybrid and SL Hybrid trims); 31 City MPG/ 34 Highway MPG/ 33 Combined MPG for 2019 Rogue Hybrid AWD (SV Hybrid and SL Hybrid trims); Actual mileage may vary with driving conditions – use for comparison only.